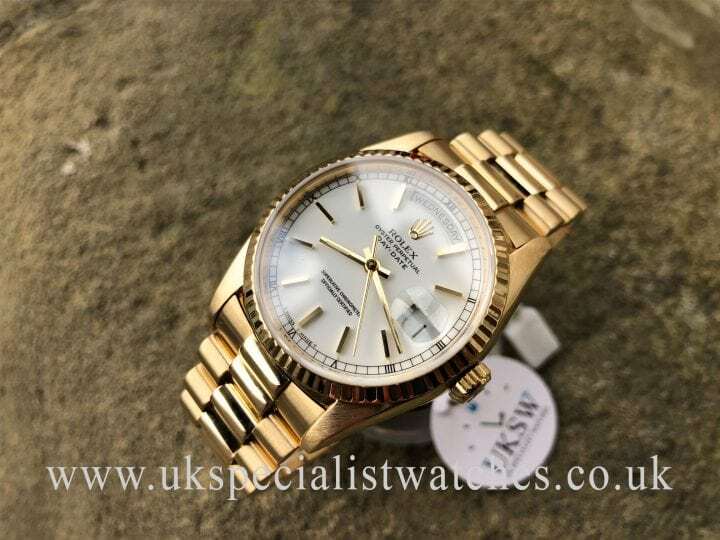 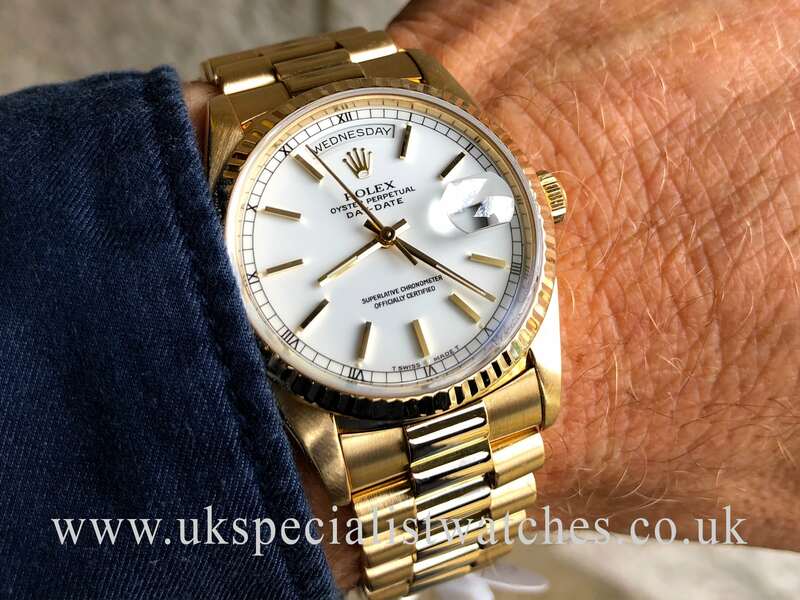 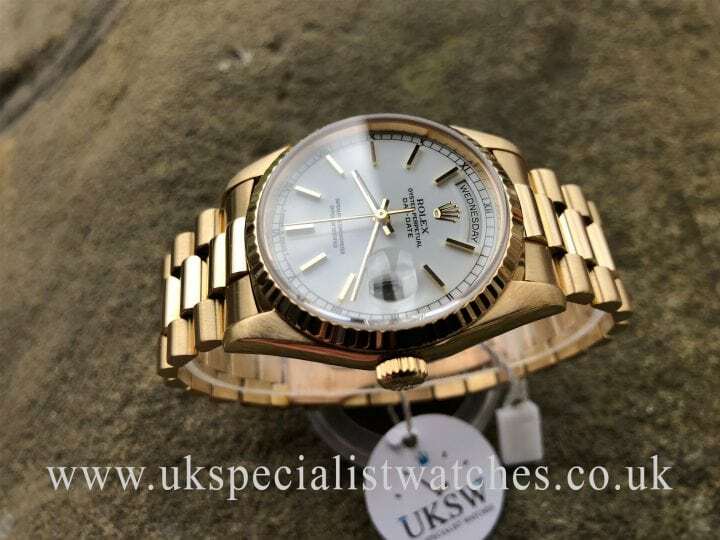 Rolex Day-Date president solid 18ct Yellow Gold with a crisp white dial with 18ct gold baton hour markers. 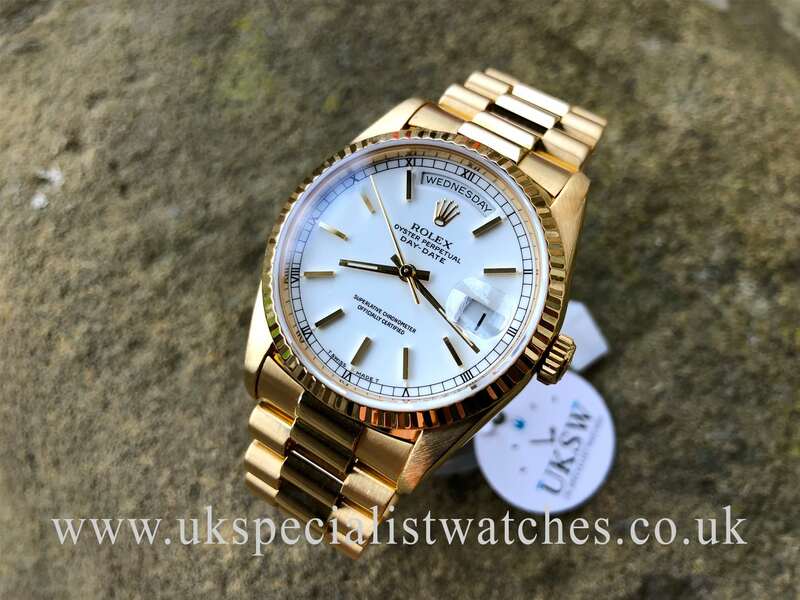 Sapphire crystal glass. 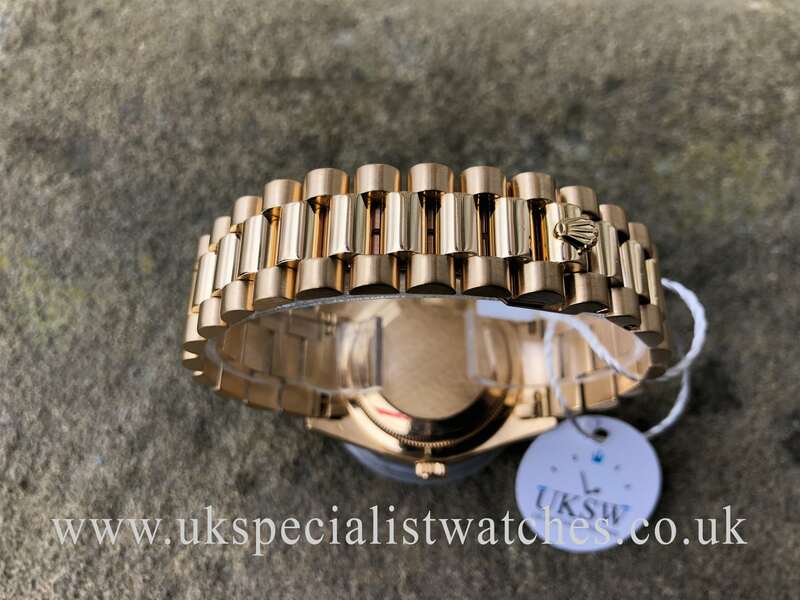 Fitted to a 18ct gold President bracelet that catches the light fabulously along with the fluted bezel. 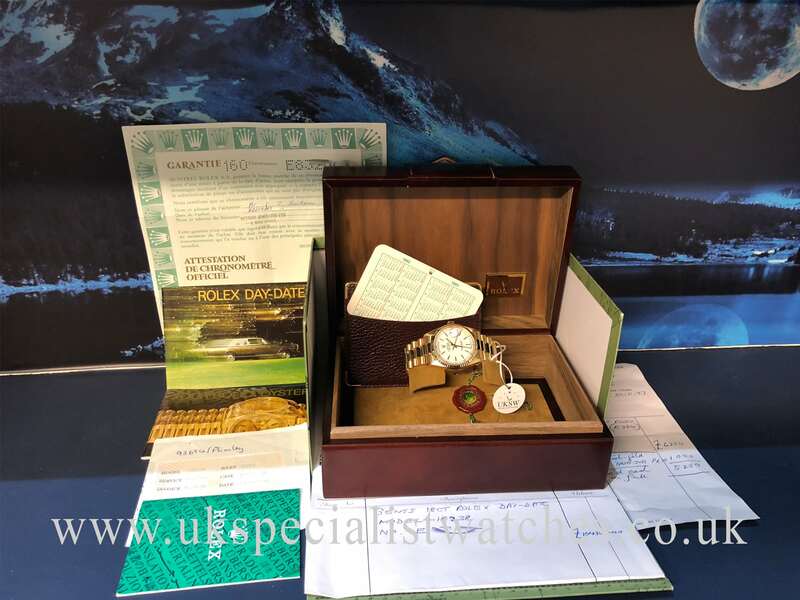 This watch is in absolutely immaculate condition having had a full service carried out at Rolex UK and comes totally complete with original Rolex boxes & papers stamped Oct 1992, E832—. 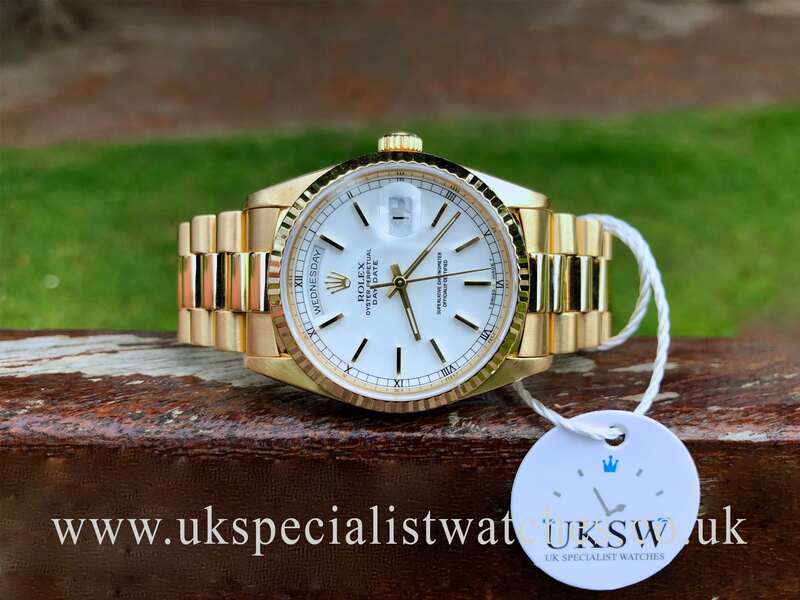 Serviced at Rolex twice with the latest service carried out in 2015. Costs new today over £20,000.We also have a choice of Blue or Champagne dials should you prefer at no extra cost.